Suffolk is a traditional, English non-metropolitan county of historic origins, bordered by the North Sea towards the east and Cambridgeshire in the west. 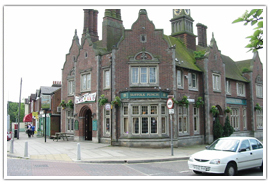 The region’s main town is Ipswich though there are many other minor towns here as well. This district sits at the most easterly part of England and covers a geographical area of 3,798 kilometers square. History has it that Suffolk was first inhabited during the fifth century, this particular community establishing administrative and cultural control over the region. Later on, other settlers arrived and began calling the people of the county the “south folk” or “Suffolk” for short. Some of the main attractions in this county include Regent Theatre, Elveden Forest and Pleasurewood Hills to mention just a few. For those visiting the main town from London, the distance is 150km which is about 2hrs drive by road. Suffolk is a lovely county and has plenty of towns and cities to visit. Ipswich town is located at the estuary of Orwell River and has been ranked as the 4th largest urban center in the East of England has a population of around 180,000 people. Its name is derived from a medieval Anglo Saxon phrase “Gippeswic,” which historians believe was used as a personal name or rendition of the Orwell creek. King John of England gave Ipswich its first official charter in 1200, this recognition laid the initial foundation for civilization and modern government. Some key points of interest here include Holywell Recreational Park, the Christchurch Mansion and New Wolsey Theatre in Westgate area. Lowestoft lies on the North Sea shores and is the most easterly harbor in the UK, with the distance between it and London being 110 miles. Recent discoveries by a group of archeologists show that people started inhabiting the region around 700,000 years ago, which establishes the city as one of the oldest human colonies in Britain. 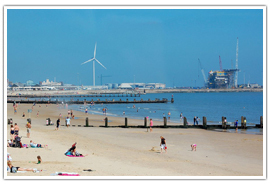 As a port town, Lowestoft mainly developed due to commercial fishing activities. 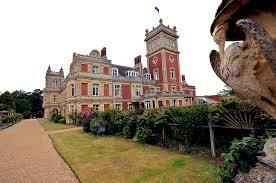 Some popular tourist attractions in the area include the Somerleyton Hall, Claremont Pier, and Pleasurewood Hills. Bury St. Edmunds is a laid-back market town that was previously the county seat of West Suffolk. In ancient times it was known as Beodericsworth and gained popularity in the malting and brewing business. These industries still stand till today and are partly responsible for the low unemployment rate in the town when compared to other regions across the country. 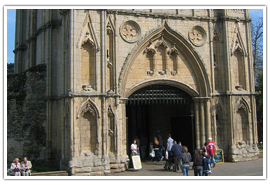 Popular attractions in Bury St. Edmunds include St. Edmundsbury Cathedral, Hengrave Hall, and Ickworth House. The area around Suffolk, England is filled with amazing history and an abundance of natural beauty. Here are three parks and gardens you must visit while you’re in the area. Helmington Hall is a moated castle that has been owned by the same family since the 1480s. 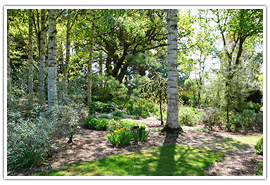 The surrounding gardens are world-renowned for their diversity and the history surrounding the landscaping. As you might imagine, the landscaped gardens are spectacular. But you can also enjoy the orchard and a walk down the Apple Tree Walk. The peaceful is surrounded by picnic areas, private nooks and tunnels and the gardens are also home to some rare red deer. 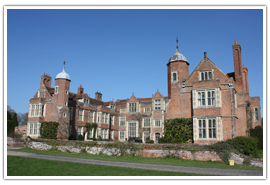 The Kentwell Home was built in the early 1500s and over the centuries the house and the surrounding gardens were expanded and improved. It changed hands several times in the 1800s and by the 1900s it was essentially abandoned. The grounds were used during WWII for barracks and as a staging area for D-Day. In 1970, the current owners purchased the property and have spent the past 45 years renovating and upgrading the grounds. The centerpiece of the property is the walled garden, which dates back to the 1700s. There is also a moat and ancient yews and cedars. The most spectacular of the cedars is the large sculpted tree, which dates back to the 1800s and maybe the U.K.’s biggest individual wood carving. There has been some sort of mill on the property since at least 1458, and the word “fulling” comes from the process used by the mill to make cloth fuller and thicker. Bernard and Bess Tickner purchased the property in 1958 and in 2004 they created a charity to run the garden and the surrounding property. The centerpiece of the gardens is the river Lark, which was used to move coal and corn until 1900. Both sides of the river and the surrounding areas have been turned into gardens, with each garden including its own mix of plants and flowers. 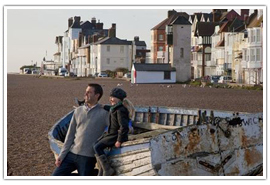 Suffolk has a wide variety of places to visit which include Havergate Island, Hollow Trees and Aldeburgh Treasure Trail among many other places. Havergate is the only island in Suffolk. It is in the junction of Butley River and River Ore near Oxford village. 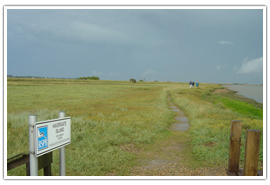 It is a marshy nature reserve with a population of terns and avocets. 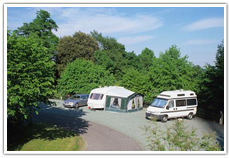 Its nature reserve and the island is only accessible at certain dates and times by boat from Oxford dock. The island is 0.80 km wide and 3.2 km long and floor area of 1.08 square kilometers. The island has a picnic area, several bird hides, toilets and guided tours but unfortunately, it is unsuitable for pushchair or wheelchair users because of the boat access and the bumpy nature of some of the less-developed paths. 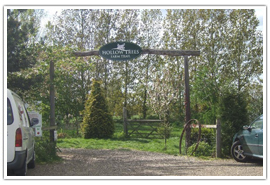 Hollow Tree is a 140-acre mixed farm in “high” Suffolk where farmers enjoy working with conservation, education, and wildlife as well as producing food for their visitors. The farm has seen many changes over the years and has been home to different generations of the same family. 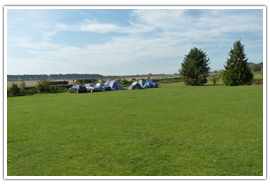 The farm ensures that all the family is catered for and have a great day out. The farm provides you with wonderful memories that vary from vibrant plant colors, the delicious smell of freshly baked bread and general different farmyard activities. Over the years, the farm has evolved into a popular attraction to be enjoyed by all ages. Aldeburgh Treasure Trail takes the visitors around the highlights of Aldeburgh. There are directions to take you from one clue to the other including an interesting local history. The trail is 2 miles long and it will take you 2 hours to complete without paying entrance fees or entering any of the private property. Most of the Trail is on flat ground but other parts may include a few steps to climb, however nothing too strenuous. To fully enjoy the visit to the trail, all you will require is suitable walking shoes and a pen. In case the weather is warm or sunny, you might need a swimming costume too. Suffolk is a popular destination for people looking to pursue an outdoor activity or simply to nose around in old buildings and learn about its fascinating history. Sutton Hoo was the site of a 6th and 7th-century burial ground and is one of the sites that has gotten a lot of attention due to the fact that there is a ship buried on the grounds. 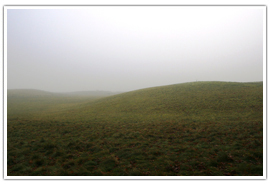 The area shows some of the overlaps of myth and history and fascinates tourists from that aspect alone. Several of the artifacts that date from this time period are housed in the British Museum including a ceremonial helmet. Ickworth House is another historic venue within the area of Suffolk. 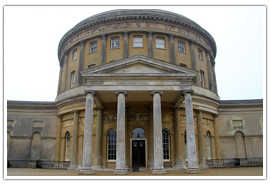 Some of the reasons that Ickworth house has great popularity with tourists is the fact that it is immense. The house built between 1795 and 1829, was formerly the chief dwelling of an estate previously owned by the Hervey family, It is a monument to Italian architecture, is huge and grandiose and contains various artworks by Poussin, and Gainsboro among others. These are some of the things this grand building is known for, and something individuals should see should their travels take them to the Suffolk area. West Stow is another attraction to visit while in Suffolk. One of the most notable things about this area is the fact that it has an abundance of history. 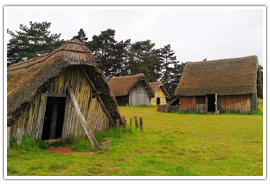 West Stowe is noted for its two main attractions where visitors may visit reconstructed Anglo-Saxon houses and fascinating living history demonstrations that highlight life in the Dark Ages. There are as many as 6500 pieces of bronze to see including farming implements, discovered on the grounds surrounding the area. The other part of West Stowe that is interesting to tourists is the Ramparts Field which also has a major picnic area. The South Folk (or ‘Suffolk’) enjoy their tea, as do all Britons, so expect to find many tea houses on your travels around this lovely old county. 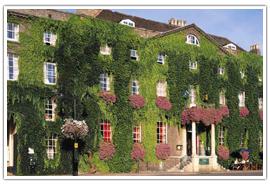 This award-winning 4-star hotel is nestled right in the heart of the historic St. Edmunds town center. One can easily access shops and other historic buildings within the town. The complex structure has a steep history having been built in 1778. Its vaulted cellars, however, date back to the 13th century. Since 1973, the place has been run the Gough family. The Angel Hotel features an exclusive and elegant Georgian design. The lounge serves a charming menu of fresh delicacies such as coffee éclairs, homemade scones, doughnuts and parsnip cakes to make your afternoon tea experience just incredible. The Cameo Hotel is located in the quaint Copdock village, a fifteen-minute drive from Ipswich center and a ten-minute drive from the rail station. It is within the vicinity of Ipswich Waterfront and the renowned Custom House. 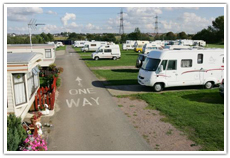 The hotel also boasts of its proximity to the Suffolk Leisure Park. It is one of the best hotels around the area whenever you need an afternoon tea or just checking in. The Cameo Hotel offers a mouth-watering menu ranging from fresh finger sandwiches, homemade cakes, fresh scones with cream conserve and a glass of Pimms. You can also choose the type of tea which you desire including fruit and English blends. 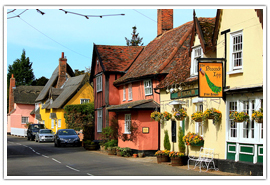 The Swan is strategically located within the beautiful countryside Lavenham village. The stunning hotel has its oldest parts dating back to the 15th century. It was then fully established by John Girling, the first landlord, in 1667. It has recently been renovated in an epic style that gives you an experience of its own kind on entry into the hotel. The afternoon tea has always been a tradition for the Swan over many years now with delicious dishes and savories. Its exquisite menu includes specialist teas, freshly brewed coffee, cakes, pastries, finger sandwiches, fruit and walnut scones, This will make sure you taste that heaven you have always longed for. Suffolk’s green and pleasant county is seconded only by its reputation for having wonderful old country houses and small villas nestled away in small hamlets around the region, providing beautiful backdrops for weddings. 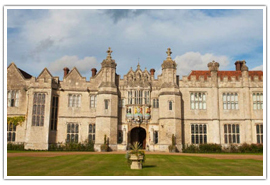 Hengrave Hall in Bury St. Edmunds ranks among the best wedding venues in the world. This Idyllic chapel is surrounded by beautiful gardens and has over 30 magnificent bedrooms. Hengrave Hall is part of the majestic Tudor mansion. This mansion sits on an expansive land with perfect ambiance and it is an ideal venue for destination weddings, photo sessions and anniversaries. 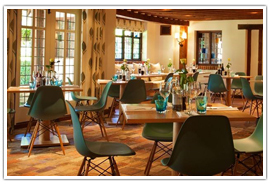 Additionally, the venue can be used for a corporate event such as diners and conferences. Aside from hosting events, Hengrave Hall can also be used for video and photo shoots. 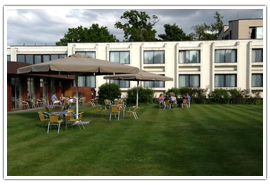 The venue is located ninety minutes away from London and this makes it highly accessible to locals and foreigners alike. Hengrave Hall is an ideal venue for those planning an intimate and romantic wedding. The venue also provides the couple with an opportunity of having their big day in an exclusive and private setting. 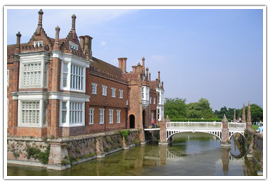 Sommerleyton Hall in Lowestoft is an ideal wedding venue for those planning a country wedding. The beautiful Sommerleyton hall is surrounded by lush gardens and mazes making it an exquisite venue for a destination wedding. This wedding venue located at the border of Suffolk and Norfolk counties has beautifully designed rooms that can be used as a wedding reception. The different wedding packages can be designed to meet the needs of the couple. This intimate wedding venue is ideal for those wishing to mark their big day away from the busy city life. The quiet and serene environment provided by the beautifully manicured gardens and well-maintained lawn accentuates the romantic feel already created by the majestic Sommerleyton hall. Aside from acting as a wedding venue, the hall also hosts activities for families and couples. For instance, there is an adventure park located within the property and it is designed to provide amusement and fun to the children. 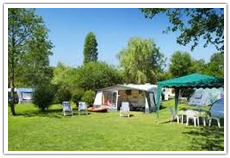 Suffolk is a lovely, old, historic county, with lots of camping and caravan sites for the eager traveler.